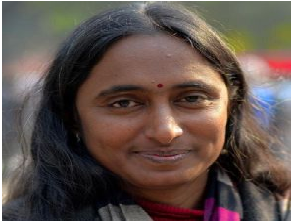 Kavita Krishnan is Secretary of the All India Progressive Women's Association (AIPWA). Kavita is also editor of 'Liberation', the monthly publication of the Communist Party of India (Marxist-Leninist) (CPI-ML). She is associated with the feminist and students movements in the country.